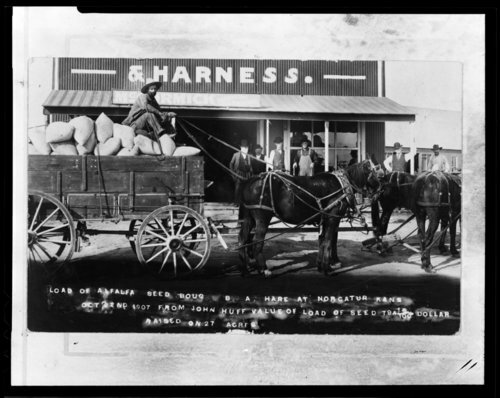 This black and white photograph shows John Huff with a horse-drawn wagon loaded with bags of alfalfa seed in Norcatur, Kansas. The seed was grown on twenty-seven acres of land and was valued for $794.15 according to information written on the front of the photograph. The donor of the image is Mrs. Robert Taylor.